So… except for the first one, which only Arctur cares about, nothing that would ever happen in the game, ok.
You Horde players need to realize that you are only given the illusion of a true choice with the Saurfang and Baine questlines. In that case, why do you frequently pine for these choices that you now decry as the illusion of choice? I mean, I’m glad that you see it the same way I do but I’m curious. Tbh, I feel it is a plausible theory that if there is one day spared where one’s faction gets to play the other faction as if it were like a taster day for stories, then it might actually make more people happier. Both sides seem to want what the other has. Or at least, there’s a sizeable number of it. Because it would still be nice to show the middle finger to Tyrande and refuse to aid her in Darkshore. That still doesn’t mean that I expect my choice to ultimately impact in a significant way the storyline. Basically a soldier who is good at following orders, however he does not move inside a regiment, he goes solo-ish. All this hardly makes sense, but it’s understandable. The truth is that the PC should not give a f at this moment about Garosh / Baine emo behaviour, in fact he should be mildly annoyed. Especially with Garosh not letting us free him. Imagine if we knew he was talking to Anduin about killing Sylvanas. “Oh i am so honourable that I wont kill Sylvanas myself, but please i beg you do it” I feel the honour! At the same time Baine “you mindcontrolled a forstaken you …@#E@D” Erm that guy is the brother of our most dangerous enemy who JUST led a raid into our city…SLAP IN THE FACE BAINE! Err…err…Sylvanas made me do it! She impugned upon the Honor of the Horde! And that is why we must give Troll lands back to the Alliance. Yeah, aka “Champion” by almost everyone who is something. I’ve been called a champion by Sylvanas, Magni, Khadgar, Tirion I guess, and many more. 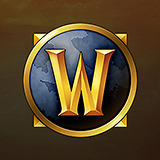 We aren’t simple soldiers, we are well-respected and known in Azeroth. Good, you know it yourself already. The truth is that the PC should not give a f at this moment about Garosh / Baine emo behaviour, in fact he should be mildly annoyed. On what basis? As far as I know, Blizzard allows us to freely shape our characters. I’ll ignore the rest of your reply since I have no idea what you’re talking about. I’m just pretending the whole thing with Derek isn’t canon. Wasn’t he burned to ashes? Well, as far as I’m aware there’s nothing that states what EXACTLY happened with Derek, so that’s enough wiggle room for Blizzard to create this ridiculous situation. I mean, it is possible for it to happen I guess, just stupid and is a rule of cool moment. To be honest, that would be using the Alliance Childs cartoon thing from the -last- expansion, I’d rather they stuck to this one. Still ridiculous, but slightly more relevant. I have this theory based on what I saw in WoT event. The scene where Malfurion is fighting Sylvanas, than Saurfang hit him in the back, than Sylvanas leaves and Tyrande appears. Notice while the Alliance PC is showned to be immobilised by Sylvanas spell, the Horde PC is portrayed as a . Someone that you know is there but yet it’s not aknowledge by none. Sylvanas, Malfurion, Saurfang and Tyrande don’t even look at him or speak at him. Forsaken PC liked the burning of Teldrassil, loves Sylvanas, but the narrative forces him to side with Saurfang, why ? Because this is a 12+ age game. Kids can’t be taught being evil isn’t condemned. Imagine the parents outrage if BfA would end with Sylvanas sitting in Stormwind throne with a sea of red blood, surrounding her. Tauren player loves peace and finds burning of Teldrassil disgusting. Why ? The writers need to instigate hate in the players, we can’t have war if we don’t hate each other right ? Drama sells well apparently. On my case I ask myself why Khadgar left. Why Magni don’t allow my character to work only for him, and leave this stupid faction war, I am a champion #467 my job is to save Azeroth, not make matters worse. I am not a corpse, why the hell I have to follow Nathanos like a dog every where. I am sure Sylvanas wouldn’t miss soldier #45788464599 she doesn’t care for losses. Saurfang got himself captured by the Alliance, maybe my character, sitting in the Stockades till the end of BfA isn’t bad considering all the moral crap I have to put with. They could have just given the Alliance some gas masks and be done with it. But, that requires some competent writers. The Light Forge are in Force Upon Azeroth, the vindicaar is a siege Weapon. Yes the Vindicaar should had been used not Jaina’s Ship. Jaina Should had Arrived on a Horse, as the Vindicaar appears into Existence making the Gandalf move. and the Cannon fires opening the Walls of Lordaeron, the Jaina uses her mass Teleport to save Alliance Soldiers. nothing that would ever happen in the game, ok. Personally I would had liked SoL to take place first then Teldrasil to take Place after SoD. The Burning not the loss of Night elf lands. I would also cut out the Prison Break. Instead Talanji arrives in Orgrimmar asking for Help and Saurfang + Baine are send with them Back on the way they come under fire of the Alliance. From there things unfold no different Nathanos Arrives on his Ship and Does his thing, while Saurfang, Baine and Rokhan work with the Trolls. We then Slowly have Saurfang and Baine disliking the Leadership. Blizzard allows us to freely shape our characters. In what universe? Can you try to assassinate Sylvanas? Can you earn negative reputation with any faction right now? Can you change faction? You only option is not to perform some quests, you dont affect anything by doing or not doing so. Oh, yes, you have 1-2 choices in the whole game, which of course dont change much. and you suddenly start talking about how the PC is limited in how he acts? How is that related? To be honest, the reason we grabbed that second body was because we saw Derek’s name on it’s dog tags. We knew full well what would happen to it once Sylvanas got her hands on it. plz, speak for yourself, i just went for a refreshing swim and debris clinged to my wetsuit because i have such a magnetic personality.